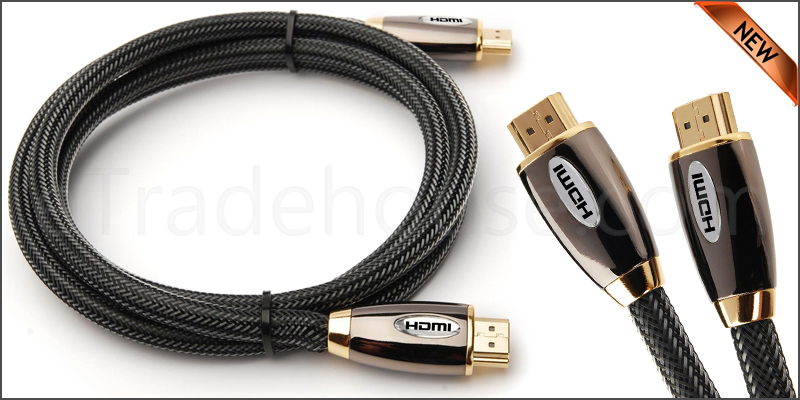 HDMI Version: v2.0 and 100% backwards compatible with HDMI v1.1, v1.2, v1.3 and v1.4. Stylish chrome metal connectors with Nylon nraided outer cable . Compliance: HDCP, HDMI Authority, ROHS. HDMI Version: v2.0 and 100%backwards compatible with HDMI v1.1, v1.2, v1.3 and v1.4. Data Resolution: 4096 x 2160p UltraHD / Dual Stream 1080p 3D. Dolby True HD and DTS-HD surround sound support. Triple-layer superior shielding from EMI / RF. 100%backwards compatibility with HDMI v1.1, v1.2, v1.3 and v1.4.